“What was so strange about that world is that there’s not a huge difference between the caretaker and the people they’re taking care of,” said Destin Daniel Cretton, director of “Short Term 12” on working in a foster care home. NEW YORK — It took only a few hours and the violent tossing of a chair across a room to shatter Destin Daniel Cretton’s illusions about working at a foster care facility for at-risk adolescents. Before he became a filmmaker, Cretton worked at a group home near San Diego in his first year out of college. His first morning on the job, he was joking around with a seemingly easygoing teenager and bonding over their mutual passion for skateboarding. A few hours later, the same kid picked up a plastic chair in an aggressive outburst and threw it at the plexiglass window right near Cretton’s head. Cretton called it one of the scariest moments of his life — and it completely altered his view about what he was doing there and his ability to affect change. “I kind of walked into the situation with a naive view of the world and view of my place in that world, which was that I was there to help these kids and be the savior and be the cool guy,” he says during a recent interview in Manhattan. Cretton’s intense, life-altering experience at the foster care facility became the inspiration for his film “Short Term 12,” which opens in the Boston area on Friday. It premiered earlier this year at the South by Southwest Film Festival, where it captured both the grand jury prize and the audience award for narrative feature. “Short Term 12” centers on the 20-something staff toiling at a foster care facility and the sensitive but sometimes troubled kids and teenagers they serve. The home is geared toward shorter-term care, but many of the kids have been there for much longer. 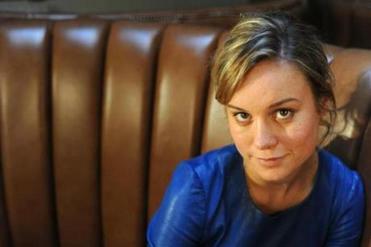 The action is seen largely through the eyes of Grace (Brie Larson), the fierce and nurturing facility supervisor who’s grappling with her own tumultuous past, and her devoted, adoring boyfriend and co-worker, Mason (John Gallagher Jr.), who was raised in a large home by loving foster parents. Among the kids are Marcus (Keith Stanfield), an intense, quiet soul who is struggling to face his upcoming 18th birthday, which means he will be forced to leave the nurturing world he’s come to call home; and Jayden (Kaitlyn Dever), a rebellious young girl with whom Grace develops a close-knit yet charged connection. Because of the intimacy of the staff’s relationship with the adolescents and the telling details they often glimpse up-close, the caretakers sometimes find themselves compelled to go beyond their supervisory roles, despite not having training as mental health professionals. For the feature, Cretton expanded on his own real-world experience by conducting interviews with other people who worked in the foster care system, and he incorporated many of their stories and anecdotes into the film. The character of Grace was inspired, in part, by one of Cretton’s own supervisors. He remembers her as a small-framed, kind of shy and soft-spoken young woman — unexpectedly overseeing kids who were often twice her size or had been in gangs. “When she walked through the gates, she put on this hard-shelled cloak, and she commanded that place. The kids respected her, and she respected them,” he recalls. Up-and-comer Larson, who played Toni Collette’s rebellious daughter on Showtime’s “United States of Tara” and appears in “The Spectacular Now,” helped shape Grace, who’s reluctant to face her own troubled and abusive upbringing. Gallagher, who stars as Jim Harper on HBO’s “The Newsroom” and won a Tony award for “Spring Awakening,” calls Cretton’s screenplay one of the best he’s ever read. And despite the intensity of the material, he describes the filming as fun. In terms of tone and emotional authenticity, indie films like “Beginners” and “Half Nelson” were touchstone reference points for “Short Term 12,” says Cretton. He was also inspired by documentaries, such as Steve James’s landmark “Hoop Dreams” and his 2002 feature, “Stevie.” That last film centers on James’s “big brother” relationship with an abused and neglected young boy who bounced around different foster homes.